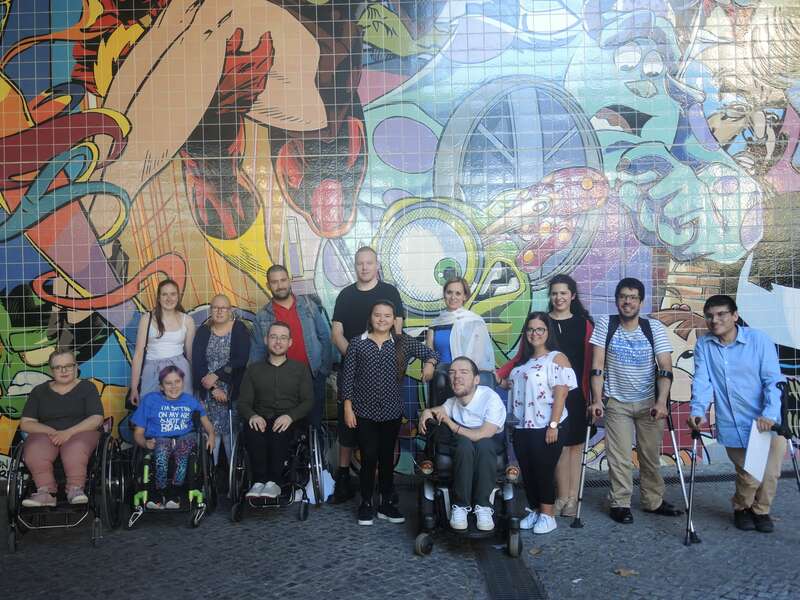 23 October 2018// This month, IF has been in Portugal for a training called ‘MY RIGHTS: Independent living, activism and participation for young people with SBH’. Today, IF publishes a report well as a video collecting our participants’ opinions and feelings about the training. This learning and practical course was primarily intended to make young people living with spina bifida and hydrocephalus aware of their rights and opportunities by learning about the UN Convention on the Rights of Persons with Disabilities (CRPD) and much more. The 11 participants, coming from Portugal, Sweden, Croatia, Ireland, Scotland, Belgium, Turkey and Estonia, are now not only more aware of their rights, they are also keener to be more active and involved in their local environment, willing to cooperate with their associations and connect with like-minded people. IF thanks all the participants, trainers for contributing to this amazing training and making it possible. Also, thanks to our Portuguese member association ASBIHP for their support and for hosting us in the sunny city of Lisbon.